I'm honored that so many of real estate agents have given my wood signs to your clients to commemorate their new homes over the past year. I hope they've all been well-received and enjoyed. Thank you! 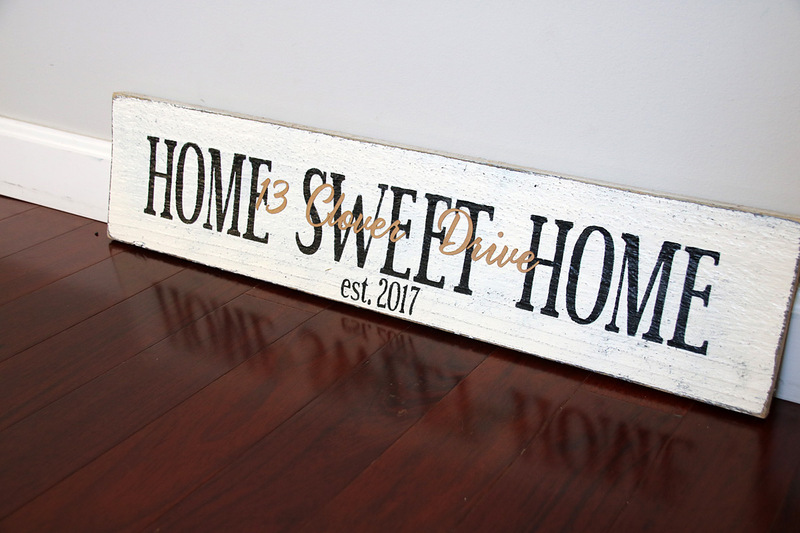 A Home Sweet Home Sign is a classic gift for FIRST-TIME HOMEOWNERS, SINGLE clients or FAMILIES of any kind! Perfect for any new home, my Home Sweet Home sign is painted on a 2ft x 6in board. You can choose to personalize it by adding the established date and/or a paper overlay of their street address, family name, or even the first names of everyone in the home. 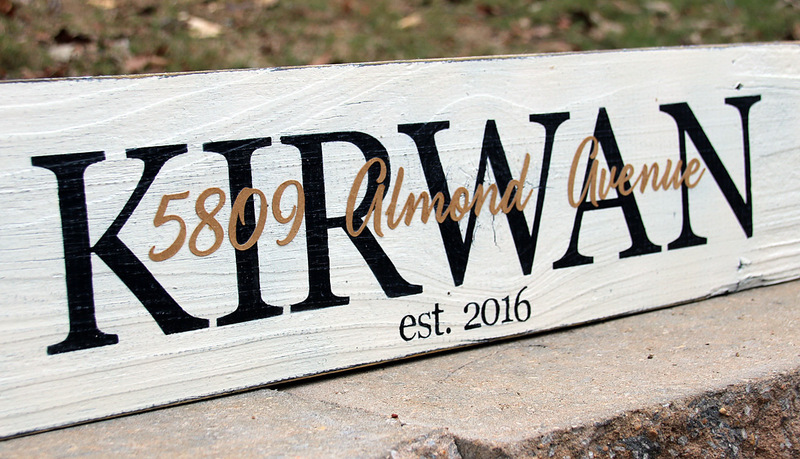 The classic Last Name Sign is a perfect heirloom for FAMILIES and NEWLYWED couples. 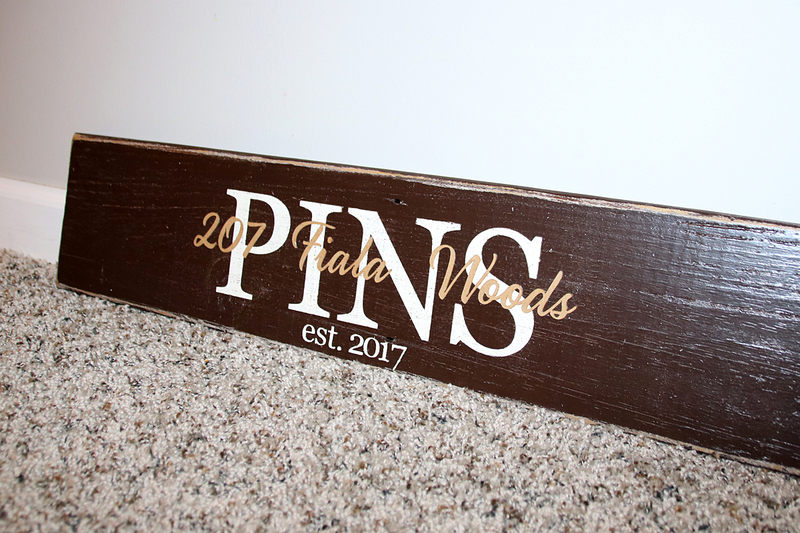 My Last Name Sign, with added options such as a street name paper overlay and the "established" date is by far my most popular combination for closing gifts. Personalized just for them, it makes a fantastic commemorative piece of artwork for your client's new home. So, which sign designs get this fancy new treatment? For starters, all paper overlays on my 2ft and 3ft Last Name signs, and Home Sweet Home signs will be getting a facelift. There are just a few hours left to take advantage of my BIGGEST sale this year! 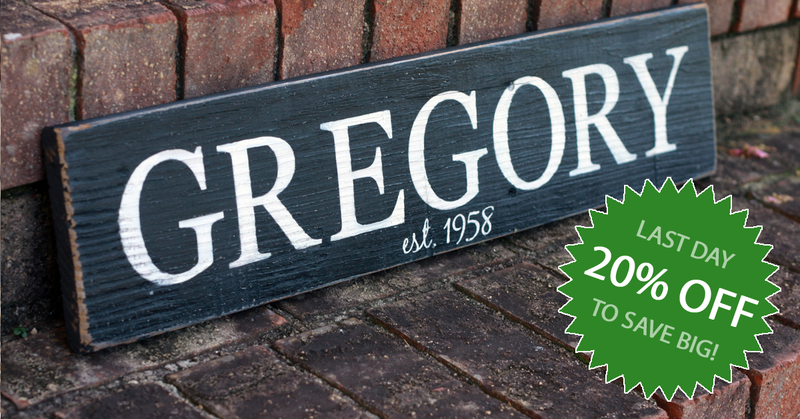 Order before midnight tonight and you'll save 20% on all my hand-painted wood signs. There's a limited number of signs I can paint between now and Christmas, and my painting schedule is filling up! I love the signs I have ordered from you!! Thanks!